Inspiration: Don't wait for time. Make it. Don't wait for money. Earn it. Don't wait for the path. Find it. Don't go for less. Get the best. Don't fight your misfortune. Transform it. Don't avoid failure. Use it. Don't dwell on mistake. Learn from it. Don't back down. Go around. Don't close your eyes. Open your mind. Don't run for life. Embrace it. "There’s no one that can push any harder than I’ll ever push. No one that can want something more than I’ll ever want something. The drive has to come from within, no matter what you’re given, it’s always the guys who are gonna make it, the guys that will stop at nothing and sacrifice everything to be where they want to be." Considering that the Surefire G2X and 6PX line of lights are aimed at a broader market and priced to reflect it, it's an awesome light for the price and what you get out of it. After having played with it for a bit, I'm seriously thinking getting a second one or maybe the 6PX Pro. Yup, I really like the sound of that. What can I say; I'm just another happy customer of Surefire flashlights. And I will continue to purchase them because I could not be happier with their products. "Far better it is to dare mighty things, to win glorious triumphs, even though checkered by failure, than to take rank with those poor spirits who neither enjoy much nor suffer much, because they live in the grey twilight that knows not victory nor defeat." A few weeks back I bought a few Spyderco knives to test out and try for EDC use. And one of them is the Spyderco Bob Terzuola carbon fiber plain edge knife. Not knowing much about the knife and it being my first Spyderco, I basically bought it because of the cool carbon fiber design that stems from my past love for car racing parts. So, I bought it and here are some pics. This would be my ideal EDC if it had the capabilities to flick open like the Spyderco Manix or Benchmades. It's light and it's the perfect size for my needs. It's the same size as my Benchmade Mini Griptilian (shown in the photos) in not only from the handle, but also from the blade. It's more flat feeling than the Mini, but it does have that cool carbon fiber. The Terzuola is that accessory that goes along with your outfit kind of deal. HAHA! It's that good looking. Anyways, I hope what I post as well as the photos help. When luxurious cuisine meets with luscious wine, you know it's time for the return of the 7th Annual San Diego Bay Wine & Food Festival on November 17-21, 2010. This November join the wave of epicureans taking over America's Finest City in a week-long experience your taste buds will never forget. 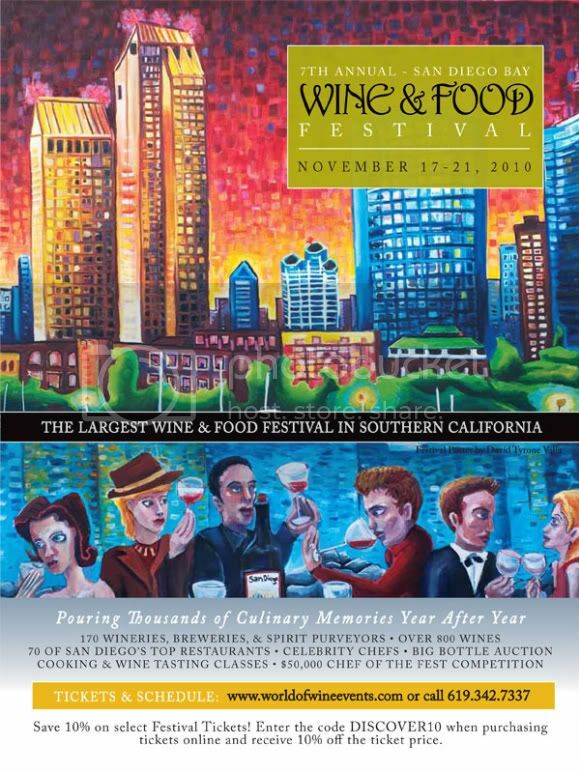 170 Wine & Spirit Purveyors, 70 of San Diego's Top Chefs, Celebrity Chefs, Cooking & Wine Tasting Classes, Big Bottle Auction, Continuous Food and Wine Tastings, Over 800 Wines, and $50,000 Chef of The Fest Competition. "Start living now. Stop saving the good china for that special occasion. Stop withholding your love until that special person materializes. Every day you are alive is a special occasion. Every minute, every breath, is a gift from God." I know some of you are asking why the C3. Especially from those who may consider themselves flashaholics. Well, why not? The quality is there and it has a decent runtime for a high powered light and the reliability is second to none. The runtime is not in the same league as LED, but the light temp is real easy on the eyes when being used outdoors. It's something that LEDs have not sold me on yet. Maybe in the future it will. Besides, there wasn't nearly as many LED options that you see now when I bought the C3 years ago. Incandescent was king. The photo above shows the C3 with other lights. From top to bottom: Surefire L5 Digital Lumamax, Surefire C3 Centurion, Maglite Mini Mag wrapped with paracord, and Surefire E2E. The C3 really isn't that big. I think it's too big to EDC, but for general purpose, it's the right size and weight. It's also not that much larger than the ever popular Mini Mag with the paracord. 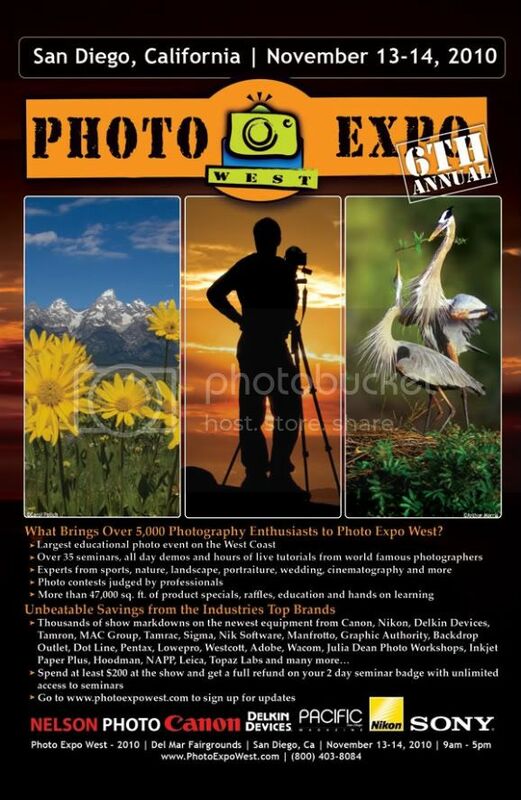 Don’t miss the 6th Annual Photo Expo West, November 13-14 at the Del Mar Fairgrounds. New year, new products, new vendors and new seminars. Parking is $9. Admission is free to the public. Two day seminar badges are $20 (full access). For students (with proper ID) and children under 14, seminars are free. Purchase $200 or more at the show and receive a $20 refund on seminar badge. Go to www.PhotoExpoWest.com for more information. I Have Voted, Have You! Let your voices be heard! Vote!